The Cessna 150 respectively Cessna 152 is a single-engine two-seat light touring aircraft produced by the US-American manufacturer Cessna Aircraft Company. The Cessna 150 & Cessna 152 was also production by Reims (France) as F150 & F152. 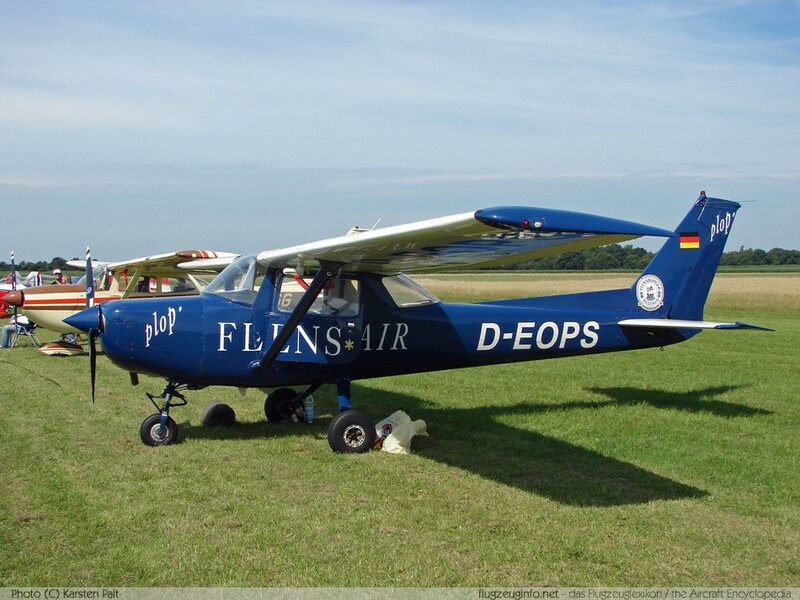 A aerobatic version was also available (Cessna 150 & 152 Aerobat). The total production includes 23949 Cessna 150 and 7584 Cessna 152. The naval hangar is located amidst commercial hangars next to the trunk road.